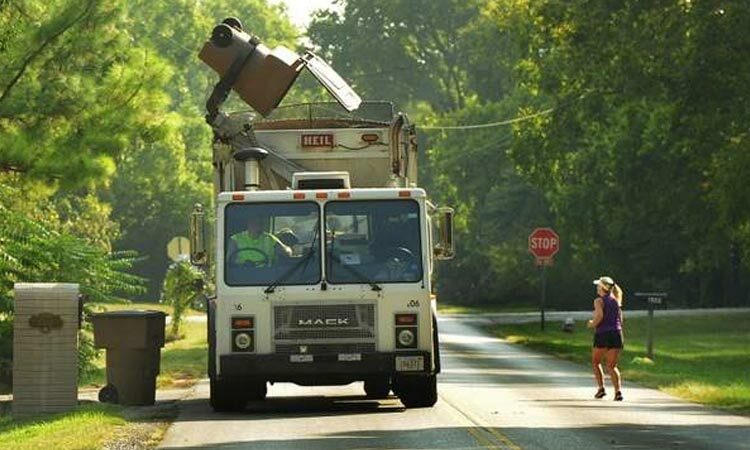 More than 170,000 homes across the country count on Red River for safe, reliable and clean waste collection services. You put out the garbage and recyclables. We pick them up. It's just that simple. But Red River is about more than just consistently delivering high-quality residential collection services. We are a third-generation family business that strives to provide exceptional customer service by meeting and exceeding your expectations. That means putting your needs first and offering tailored garbage pickup solutions that work for your unique situation. For this reason, we provide you with the means to store your waste and/or recyclables in our roll carts. This makes it easier for you to contain and prepare your garbage for our scheduled curbside collection. We are also willing to go above and beyond the standard curbside service at your request. Just let us know what you need. Our company has numerous residential franchise collection contracts with municipal and county governments, and we also provide residential collection services in communities and rural areas where service is unregulated by municipal and county contracts, allowing you, the customer, the freedom to pick a service provider. For our customers, we want garbage pickup to be easy, smooth and effortless. You’ll have no worries with Red River. Our service is guaranteed, and we welcome the opportunity to earn your business. Red River provides waste collection services all across the United States. Let us help keep your community clean.